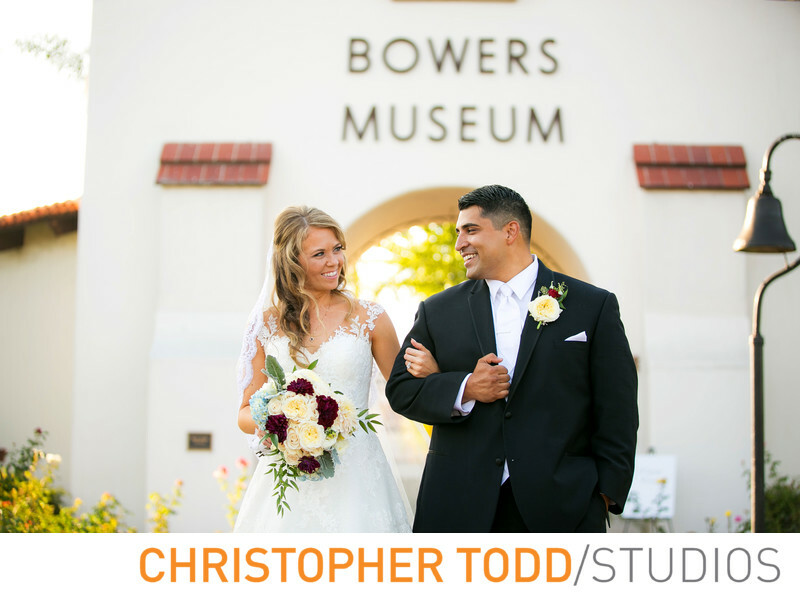 Christopher Todd Studios is just up the road from Bowers Museum. A great place for wedding ceremonies and receptions. Before the newly wed couple made their grand entrance into the reception we took this fun photo in front of the Bowers Museum sign. They had a beautiful outdoor reception in the courtyard of the museum. The Bowers Museum is an art museum in Orange County four miles south of Disneyland. A unique venue for special events including weddings. Location: 2002 N Main St, Santa Ana, CA 92706.